Speaking at the opening ceremony on March 14, Vietnamese Ambassador to Ukraine Nguyen Anh Tuan briefed participants about Viet Nam’s country, people, multi-racial culture and tourism potential. He said Viet Nam is attractive to foreign visitors worldwide and those from Ukraine in particular thanks to its popular scenic spots, beautiful beaches and tropical climate. Viet Nam is also well-known for its diverse culture, hospitable people and improving tourist services, he said. However, young Ukrainian generations have yet to learn much about the Asian country so that the embassy decided to hold the event. A representative from Ukraine’s Travel Professional Group (TPG) presented in details Viet Nam’s popular destinations and tourist services. Co-hosted by the Vietnamese embassy in Ukraine, Ukrainian Chamber of Commerce and Industry and TPG, the event aimed to promote bilateral tourism cooperation, thus tightening friendship and comprehensive partnership between the two nations. 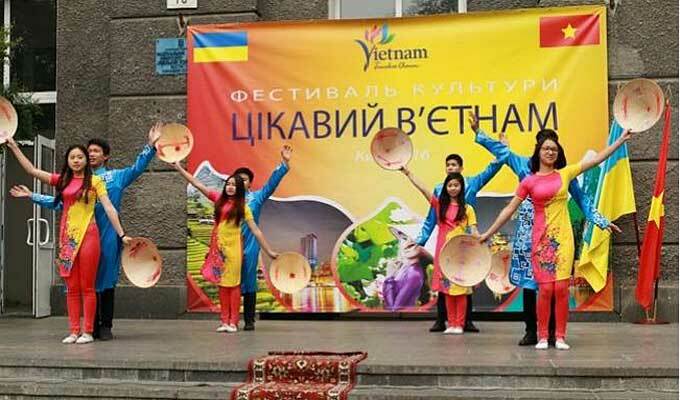 Share the post "Viet Nam’s Tourism Potential Highlighted in Ukraine"